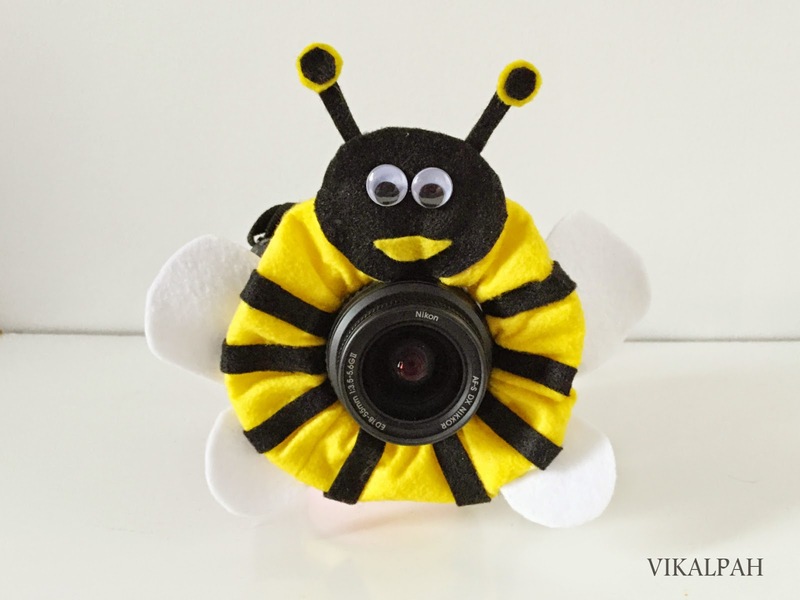 I came up with a idea of making this camera lens buddy when I wanted to gift something for my friend who is expecting. Her husband loves photography and he takes family portraits and kids portraits too.My friend has said me couple of times that it is difficult to take portraits of kids as they fear on seeing the camera and start crying. 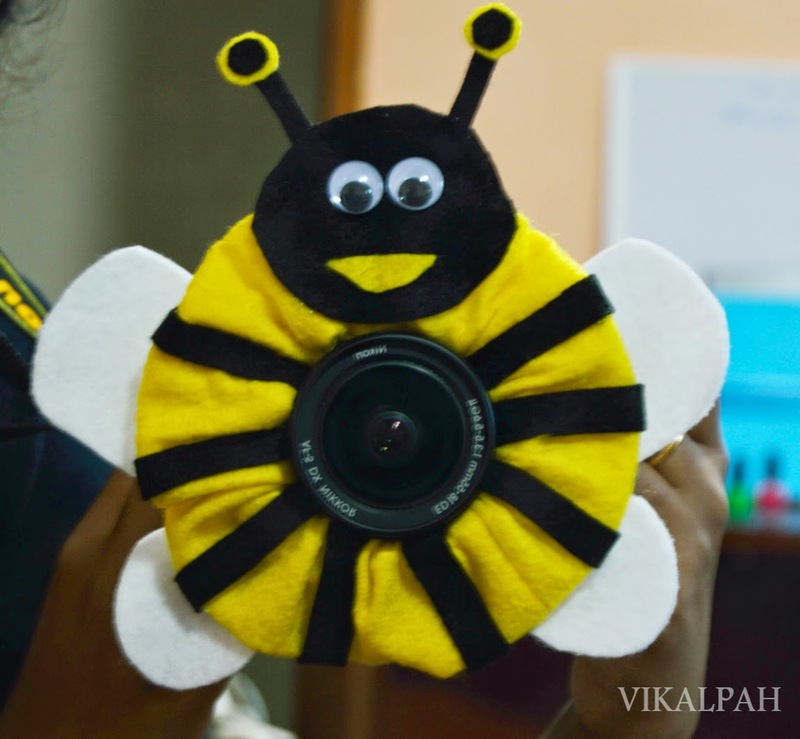 So she asked me once whether I can make a camera buddy for her husband.When she asked I was planning for a vacation and so I couldn't make it , instead I told her that you can DIY by yourself along with the instructions. (But she didn't :P) . So I thought it will be a great gift to take beautiful photographs of their expecting baby. 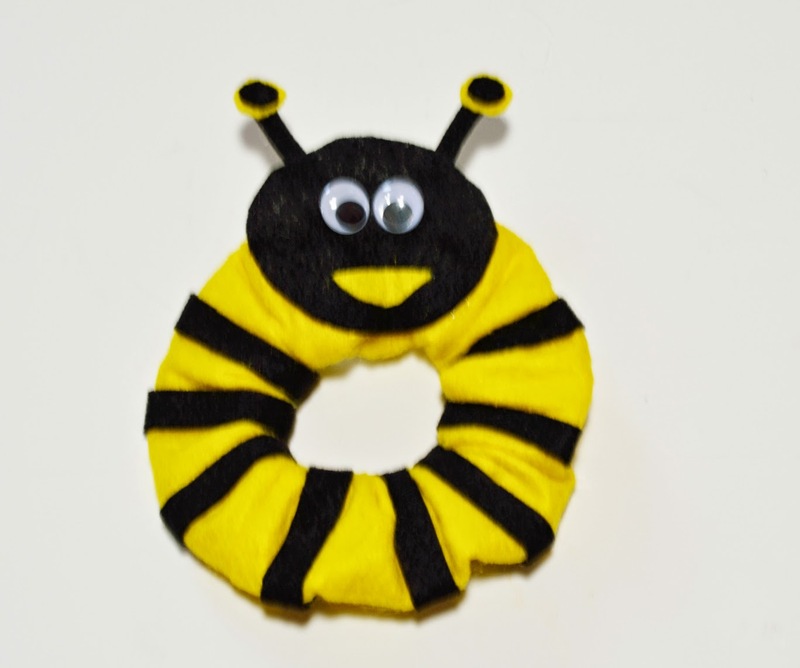 And so I ended up making this buddy bee finally and sent it to her along with other gifts. 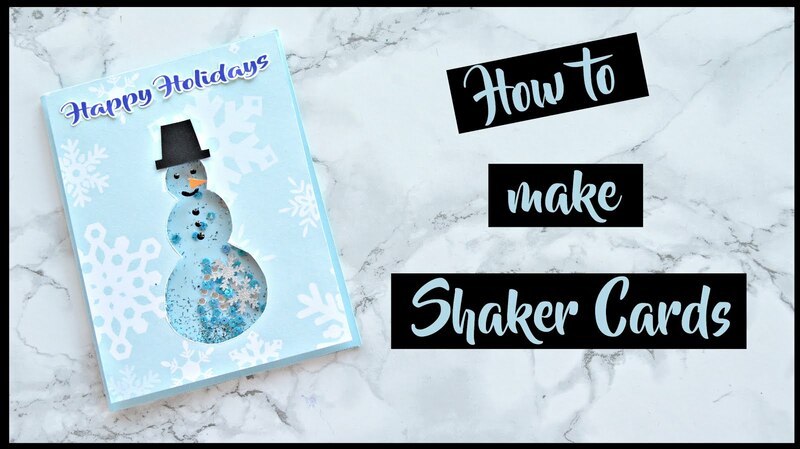 Let us see How I made it. 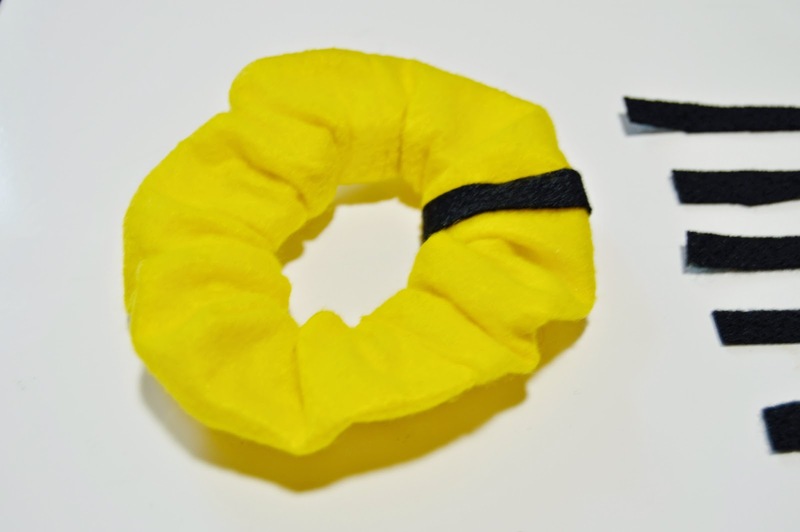 Step 1: The basic thing for this camera buddy is to make a Scrunchy to fit the lens. 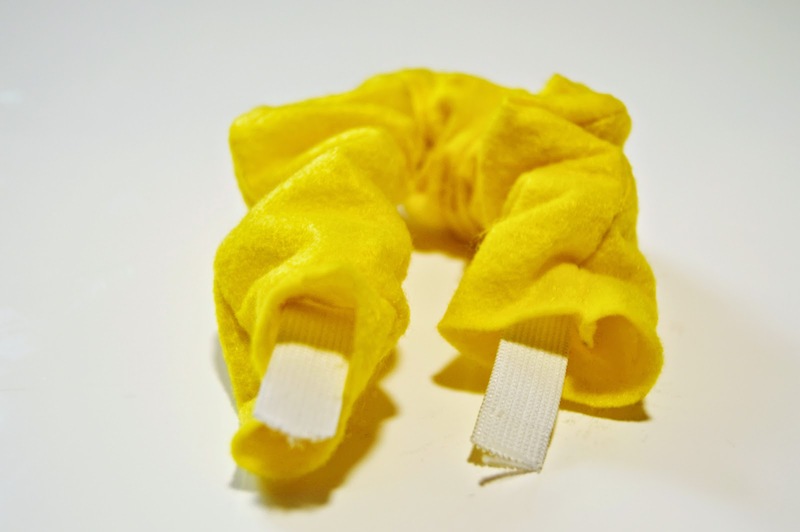 I found the scrunchies available in the stories are of small widths and also dull colours. 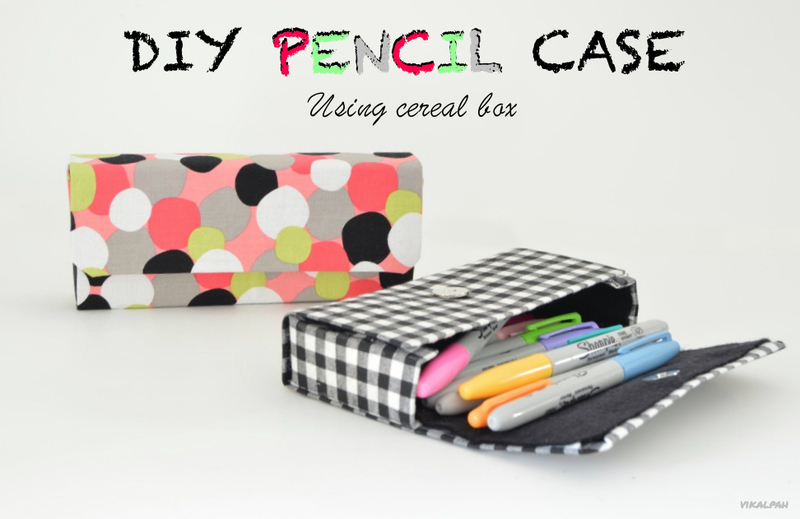 So I decided to make my own. If you can find one that suits your taste you can get that . If not, make one like I did. 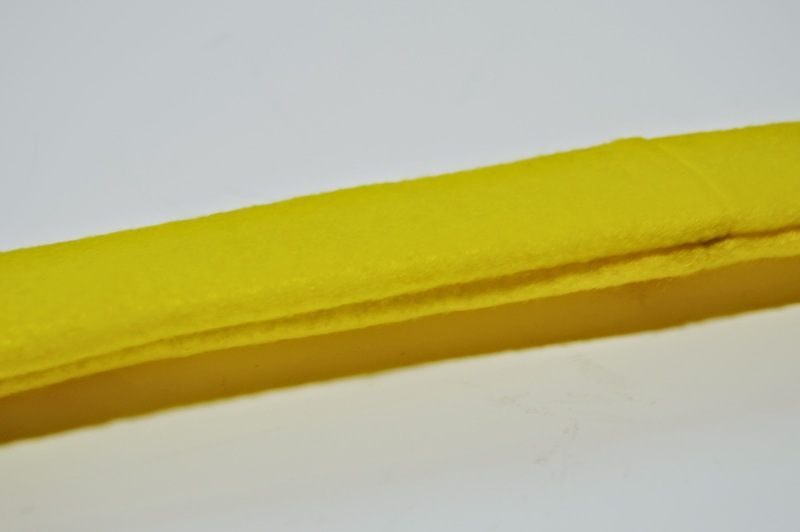 Take a long strip of yellow felt of length 20" inches and width 4" inches. 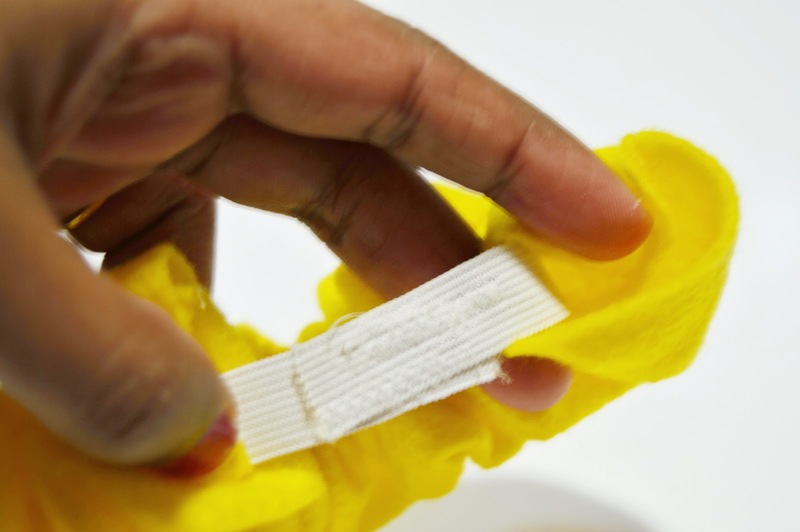 As the sheet has only 12"inches, attach a 8" inch piece along with 12". Step 2: Fold it in half and make a stitch with 1/4" inch of seam allowance. 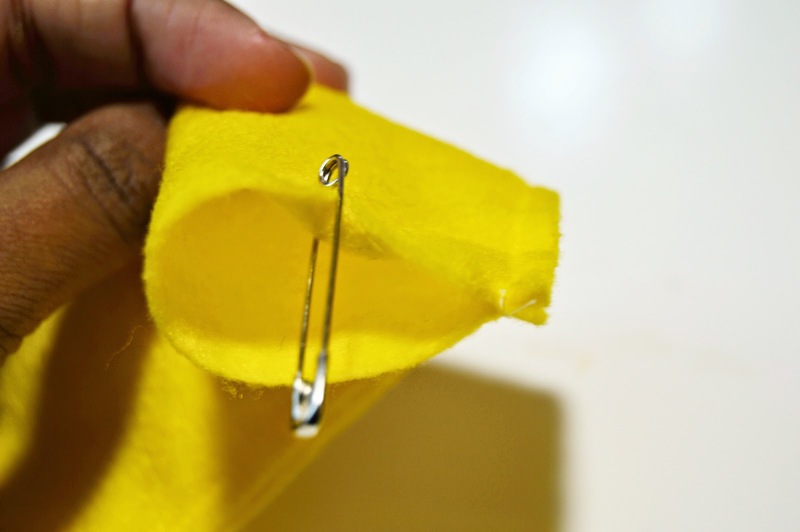 Use a safety pin (as shown) at the end of one side and insert it inside the fold on same side and bring it out at the other end to turn the folded piece inside out. 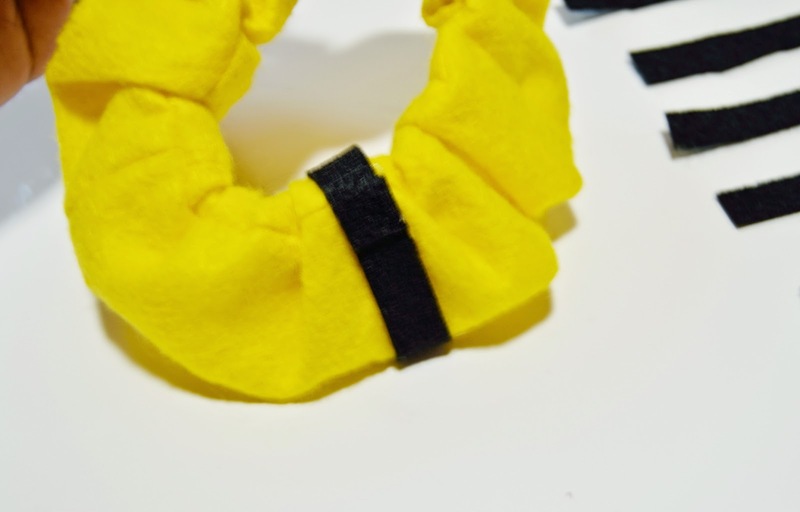 Step 3: Insert the elastic inside the felt . Overlap it about an inch or so and make some zigzag stitches to secure it in place. 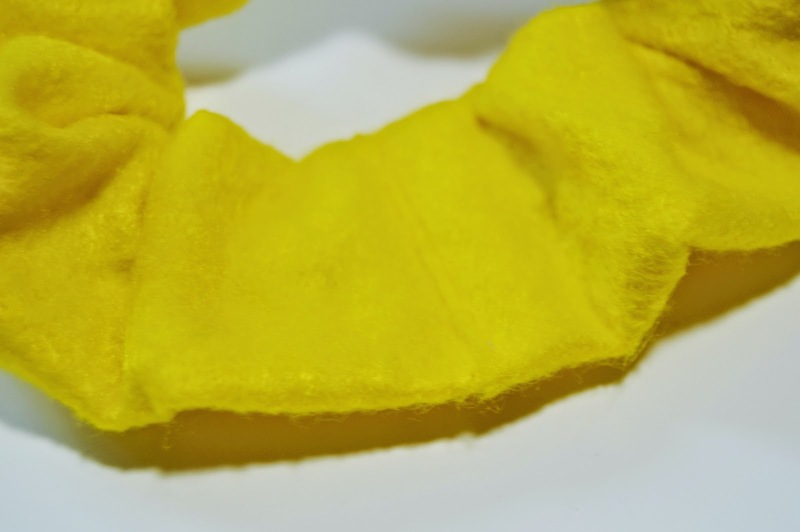 Step 4: Now overlap the ends of the yellow felt and make a stitch along the elastic. Now the Scrunchy is ready. 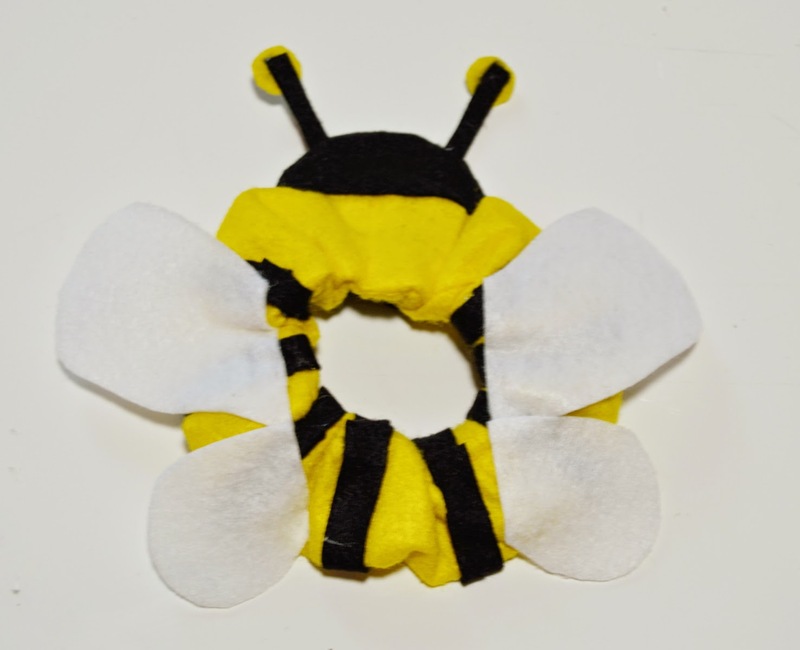 Step 5: It is time to cut the other pieces like head ,antenna and wings for the bee. 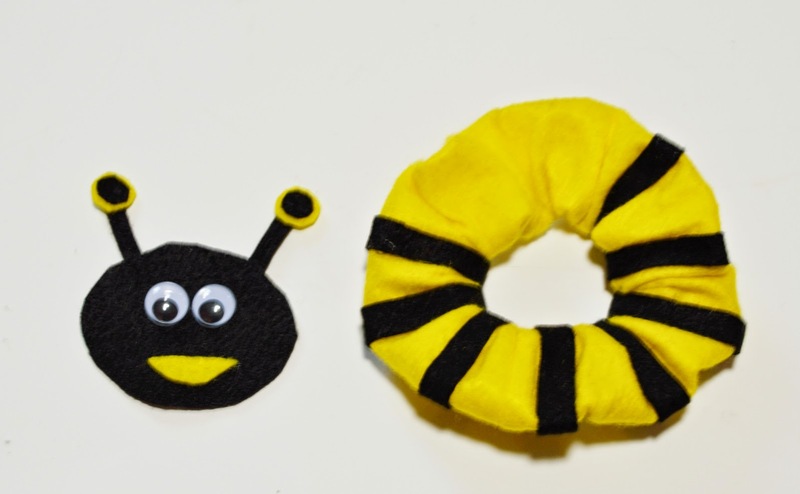 Cut long stripes of black felt and hot glue on the scrunchy for the body of the bee. 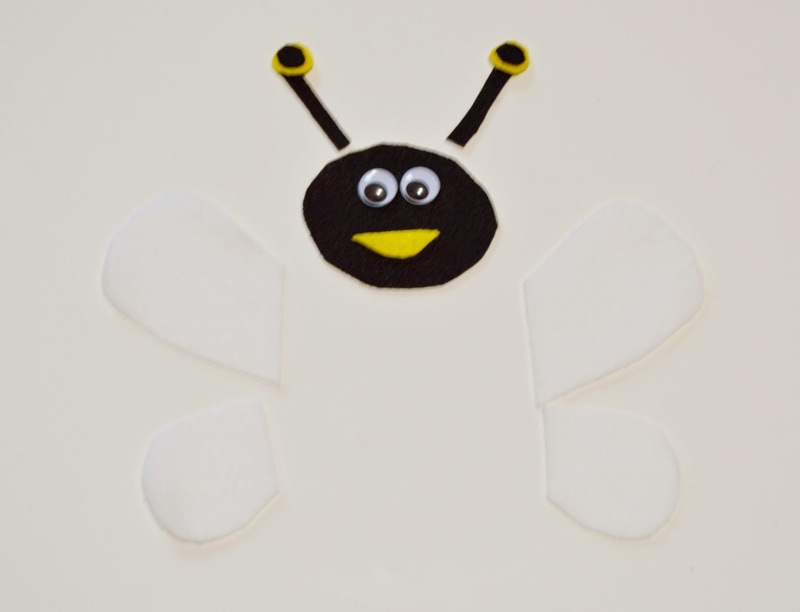 Draw the wings , head on a piece of paper and use it as a template to cut the felt pieces. Step 6: Glue on the eyes and attach the head pieces and wings with hot glue . Voila !! 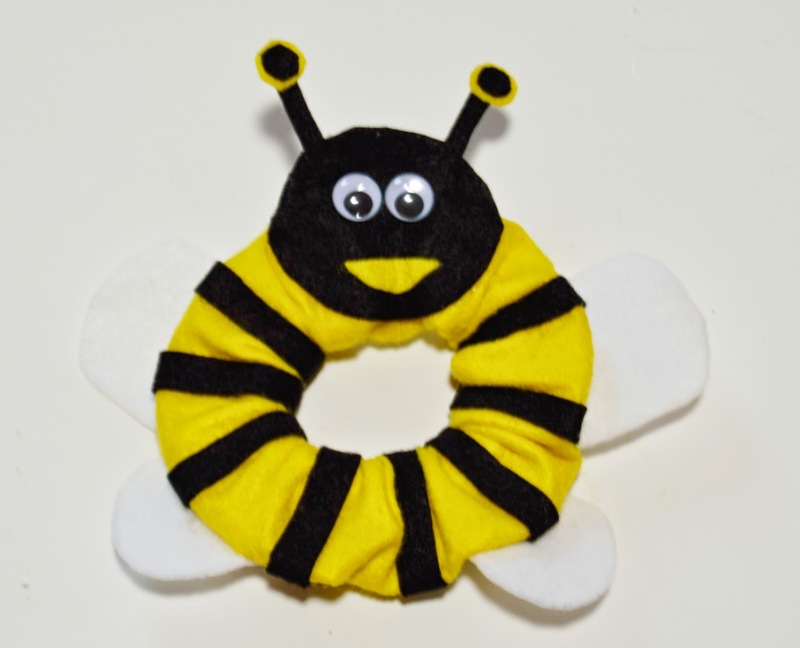 You now have a cute bumble bee buddy (bbb- sounds rhyming !!) for your camera. 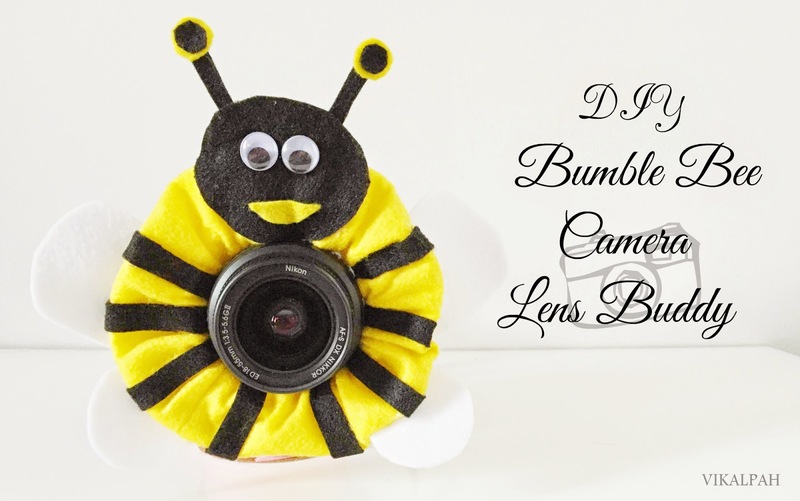 How cute is that bumble bee buddy ? If you are a photographer then this is something you should have handy. What do you think ? 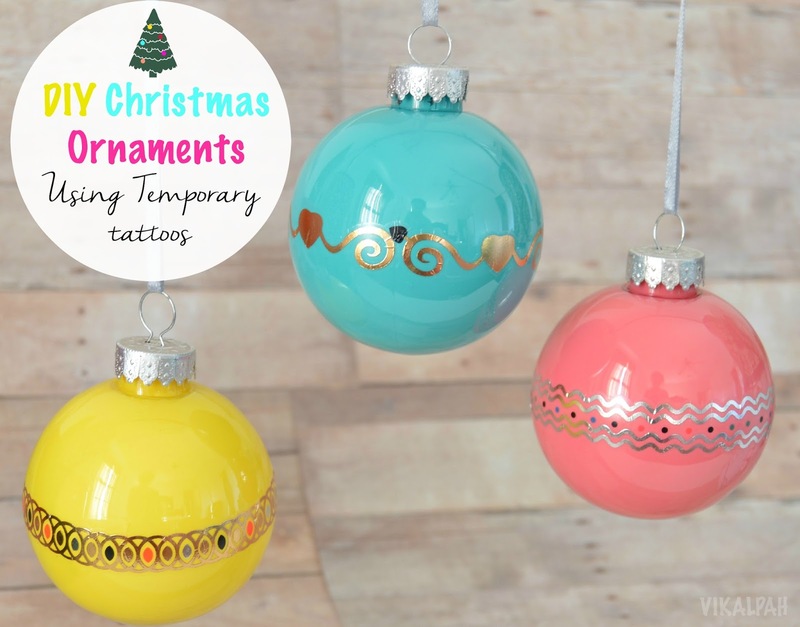 Feel free to share your thoughts in the comment below . This is so very adorable. 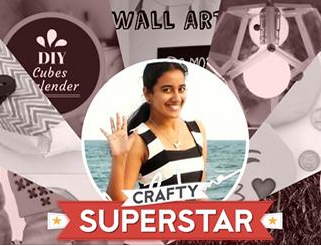 Love how it has come out - ranjani. Adorable! Perfect for taking baby photos. 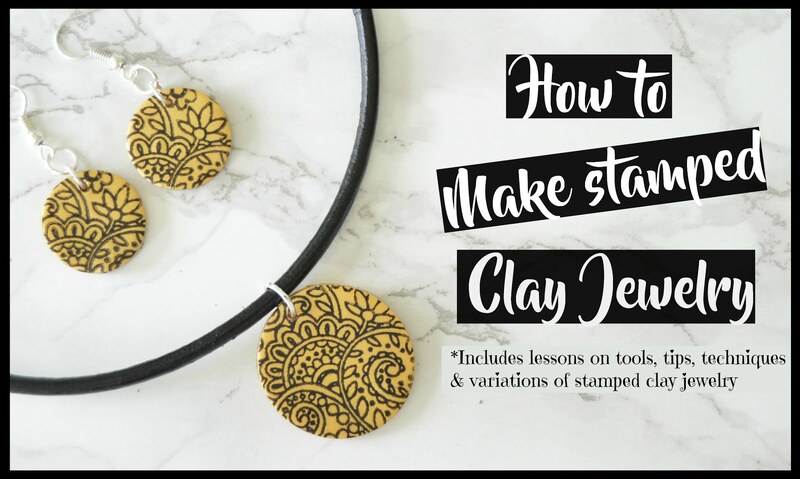 Thanks so much for sharing at the Make it Monday Party! Hope to see you again next week.